Famous Paleontologists: If you have ever been fascinated by the massive skeletal remains of dinosaurs or the unearthed early human tools exhibited in museums, you probably should thank paleontologists. Paleontologists study the fossils (biological remains) of organisms that have lived in the past. 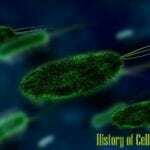 The information obtained from these fossils becomes beneficial because it establishes the link between the time and location an organism once lived in. 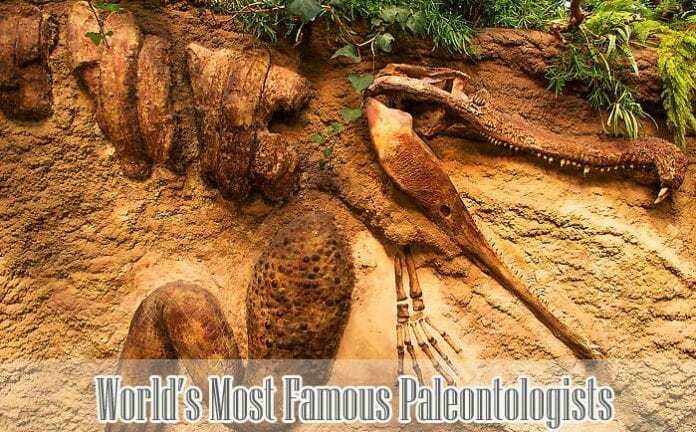 In the past centuries, the field of paleontology had greatly flourished due to the discoveries of various scientists. To give credits, below are just some of the few amazing scientists who made the field of paleontology blossom the way it is today. These famous paleontologists are not listed in any particular order. He wrote the first ever complete account of a dinosaur fossil. Later on, he called the giant reptilian organism the Megalosaurus (which will be later called as the dinosaur). A professor at Harvard himself, Stephen Gould rose to fame in the field of paleontology during the 20th century. 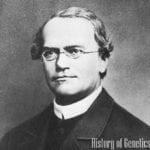 Perhaps, his greatest contribution was being the lead promoter of the theory about evolutionary change. His theory, better known as punctuated equilibrium, suggested that changes in fossil records are not a result of a slow and steady process but rather caused by a sporadic changes. 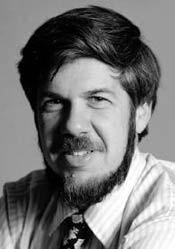 Further Reading: Stephen Jay Gould & NYTimes Article on his life. If you are greatly fascinated by the discovery of dinosaurs, this scientist is the one you should also give the credits to. 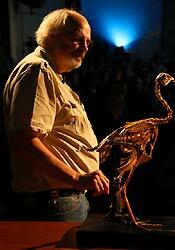 In 1969, John Ostrom discovered the remains of an organism he called the “Deinonychus” which means “terrible claw“. As its name suggests, the human size animal is characterized by sharp-pointed claws and clutching hands. 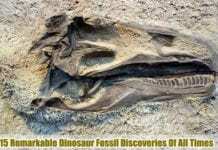 Years after, it was found out that this animal is a hundred and ten million year old dinosaur. Further Reading: National Geographic (Scroll down to Dinosaurs) and Berkeley Journal. 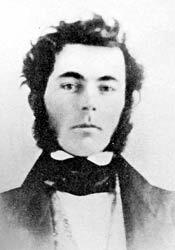 Alan Walker is another great paleontologist who supposedly became interested in paleontology when he was 11 years old by examining fossils near his home. He studied on the very first stages of human evolution, particularly in the different epochs (Miocene, Pliocene, and Pleistocene) in the geologic time scale. 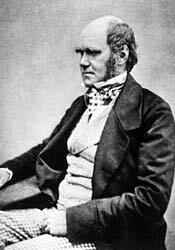 Basically, he focused mainly on data and fossils obtained from East Africa. As a result, he was able to deduce ancient behaviors exhibited by the organisms’ biological remains. In addition to this, Walker discovered hundreds of fossils which include: skeleton of a young Homo erectus and a skull of an Australopithecus. Further Reading: The Ape in Trees. 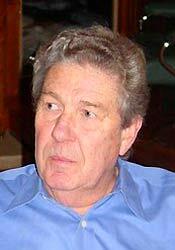 For 25 years, Osborn was the president of the American Museum of National History and had led the expansion of the museum in terms of research programs and its facilities. In the early 20th century, Osborn rose to fame after leading various fossil hunting expeditions and after training new vertebrate paleontologists in the Western United States. Osborn also described and named several dinosaur species such as the Ornitholestes, Tyrannosaururs rex, Pentaceratops, and Velociraptor. Osborn also conducted several studies about the brains of T.rex by dissecting the fossils using a diamond chainsaw. Further Reading: The Osborn Problem. Dubbed by many as the “Father of Modern Geology”, James Hall is very much known for his work on the geosyncline principle in mountain-building. In this geosyncline principle, he discovered the main reason why a basin sinks–because of the gradual buildup of sediments forcing it to slowly subside. 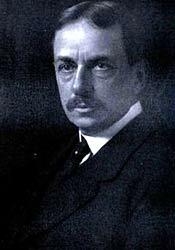 Aside from that, Hall also founded the famous New York Natural and History Museum. Further Reading: James Hall Legacy. B.F.Mudge is very much known to be a collector of fossils. 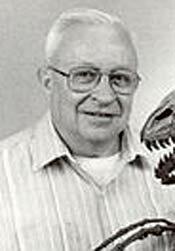 In fact, he was one of the very first paleontologists that documented detailed information about every fossil he found. One of his greatest contribution in the field was his discovery of the Ichthyomis, the first “bird with teeth”. 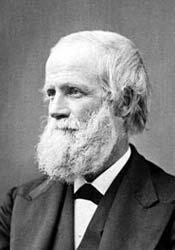 Together with John Parker, he founded the Kansas Academy of Science (formerly Kansas Natural History Society) in 1878. Further Reading: Robinson Library Archives. 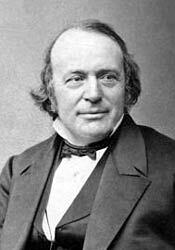 A renowned American biologist and geologist, Louis Agassiz focused on living and fossil fishes on glaciers. Such discoveries founded the very basis for ichthyological (fish) identification and classification. 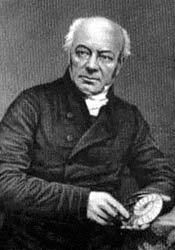 During his time, as a result of his extensive research, Agassiz’s discoveries became another evidence that somehow disproved the theory of the “Biblical flood”. 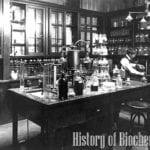 However, he focused too much on glaciers, being the main driving mechanism that changed the Earth’s geology, that he rejected the very idea of evolution. He discovered that like any other animals, dinosaurs do nurture their young. He also found that they were social animals and some can be found in groups. Furthermore, he found out that some dinosaurs are “unevolved” versions of other species. 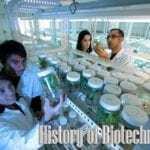 At present, he is on search of a way to reactivate dinosaur DNA in birds in order to “revive” and create modern dinosaurs. 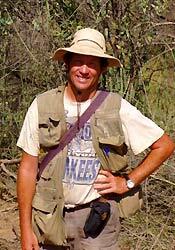 John Fleagle, by studying fossils, has extensively documented the evolutionary history and biology of higher primates including apes, monkeys, and humans. 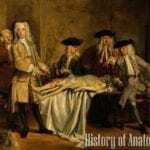 He worked on the functional and comparative anatomy of primates from Asia and Africa. He also studied primate behavioral abilities and compared their ecological roles in their communities. Further Reading: Stony Brook School of Medicine. 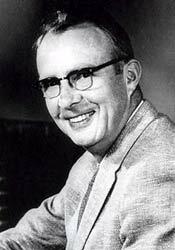 An experimental physicist himself, Luis Alvarez also made a mark in the field of paleontology. Together with his son named Walter and colleagues, Luis Alvarez proposed the reason why dinosaurs became extinct—an destructive asteroid (the size of San Francisco) that slammed into planet Earth. Later, this idea was called the “Alvarez Hypothesis” in honor of their work. Further Reading: About Luis Alvarez. Did you know that the creation of the tongue twister “She sells sea shells by the sea shore” was inspired from a paleontologist? One of the most renowned females in this field, Mary Anning is considered by many as the “Greatest Fossilist in the world”. Her greatest contribution was discovering the Jurassic fossils beds in Lyme Regis in Dorset. Aside from that, the London Geological Society awarded her for discovering the fossil of Ichthyosaurus. 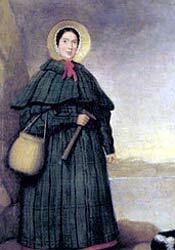 Further Reading: Famous Scientists – Mary Anning. As a paleontologist himself, Colbert’s expertise on the field had greatly improved after being the caretaker of the American Museum of Natural History for 40 years. Aside from that the following are Colbert’s remarkable contributions in the field of paleontology. 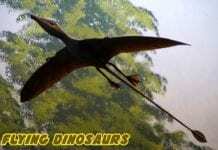 He has led various expeditions that had excavated important dinosaur fossils like the Staurikosaurus. Further Reading: About Edwin Colbert. 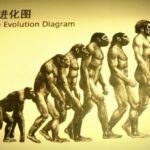 When one talks about evolution, Charles Darwin is probably the first person that comes into his mind. Other Darwinian contributions in the field are the following. Famous for that controversial theory, Darwin drew conclusions from the fossils and likelihood between related living organisms. After finalizing all the evidence he found, Darwin was able to write his book entitled On the Origin of Species by Means of Natural Selection. 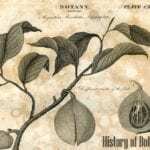 Further Reading: History of Evolution. 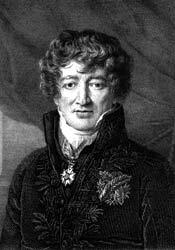 Perhaps the most important person on this list, George Cuvier is referred by many as the “Father of Paleontology“. Below are just some of the reasons why. He was the founder of vertebrate paleontology as a separate scientific discipline. 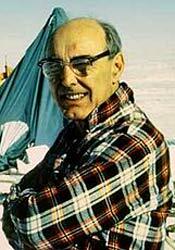 His contributions in the field include several research on the comparative biology of invertebrates and vertebrates. 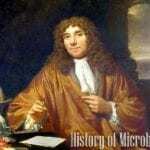 The principle of the endangerment and extinction of organisms also came from Cuvier. 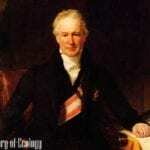 Further Reading: Berkeley University – George Cuvier. More than any other fields of science, paleontology provides opportunities not only in the exploration of the past but also in the vast possibilities of scientific ideas that have yet to be discovered. But unfortunately, since its commencement, there is still no Nobel Prize that have been awarded for paleontology or any other related fields of natural history. This only means that in the future, paleontologists will have to exert more efforts in digging answers for questions about the past. 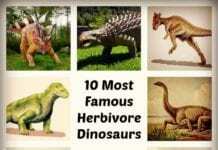 Cite this article as: "15 World’s Most Famous Paleontologists," in Bio Explorer by Jack Kirsten, November 12, 2016, https://www.bioexplorer.net/famous-paleontologists.html/. Next article26 Most Colorful Birds In The World!